The Nanba brothers. Left: Hibito. 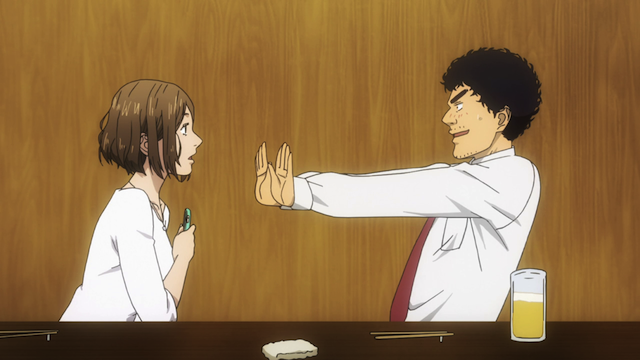 Right: Mutta. 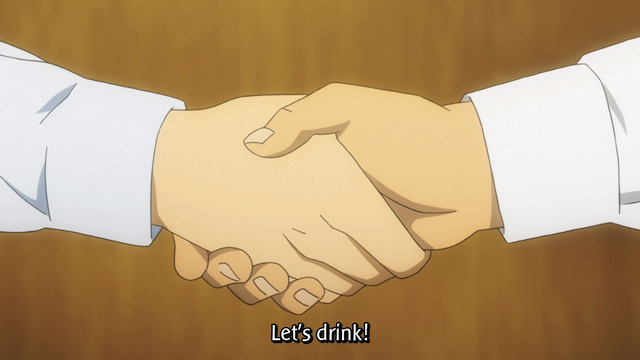 Time for another bro-tastic episode of Uchuu Kyoudai (Space Brothers)! In episode 4, the second round of the JAXA examination is completed, and little brother, Hibito, signs his brother up for something again. Mamoru Mohri gets a third cameo. One of the more remarkable scenes this week showed the three “main” candidates (at least from our perspective) leaving the final interview, and then passing by a hallway filled with pictures of JAXA astronauts. Each of the three vowed to take a place amongst them. Serika Itou asks Mutta Namba for his email address. At an after party, everyone is exchanging contact information with their mobile phones. Unfortunately Mutta dropped his in the toilet back in episode 2. Not only is he cut off from this bonding moment with his peers, he must refuse to exchange information with the lovely Serika. Kenji Makabe gives his friend a hand. Sincere thanks for helping a bud out. I have never been quite sure of what to make of Kenji. He seems to be a nice guy, but, l tend to be a little suspicious of people. 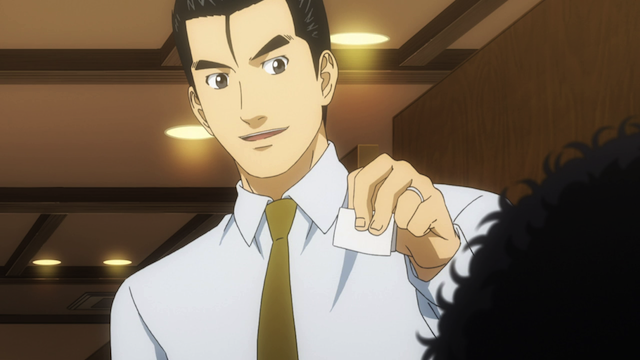 Now, with everything over, Kenji seemingly doesn’t have a possible motive for being nice to Mutta, but he is thoughtful enough to collect everyone’s email addresses and give them to Mutta, who he knows lost his phone. That thoughtful act really helped out his new friend. Once again Kenji turns Mutta’s mood around. 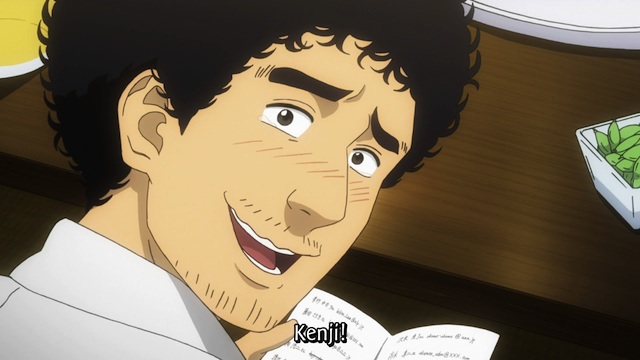 If Mutta does make it into space, I hope Kenji is alongside him, because his positive attitude will surely come in handy. A brand new phone brings an unexpected call. 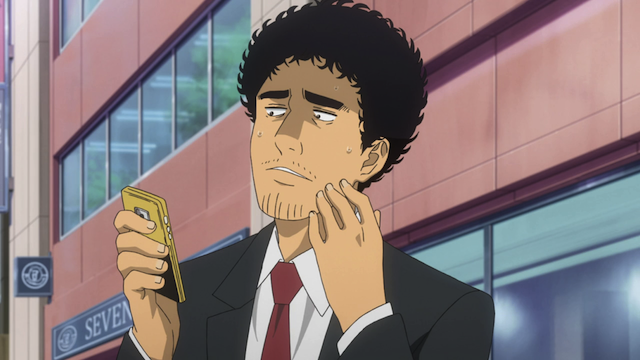 Now that he has Serika’s contact information, Mutta runs out and gets a new phone. Unfortunately his first call is someone he seems to have been avoiding. Hibito calls and asks him how the second exam went. This brings back Mutta’s negative attitude, at least internally. 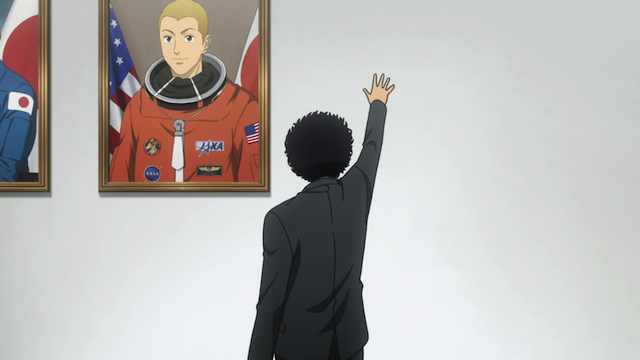 Hibito, unexpectedly wants Mutta to come to NASA the very next week. Hibito’s faith in his brother is about as unshakable as Mutta’s faith in his own self is shaken. 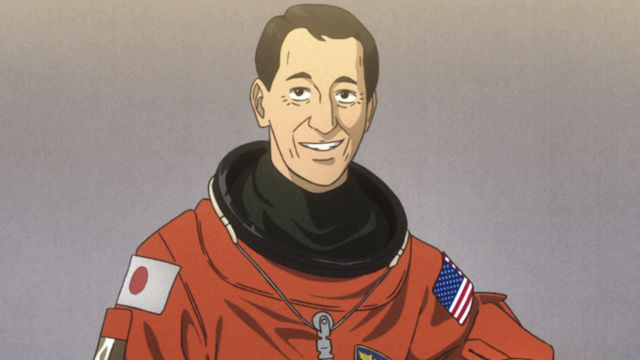 Hibito has already announced to his astronaut peers at NASA that Mutta will likely be working with them. He signs Mutta up for a NASA program for astronaut family members. 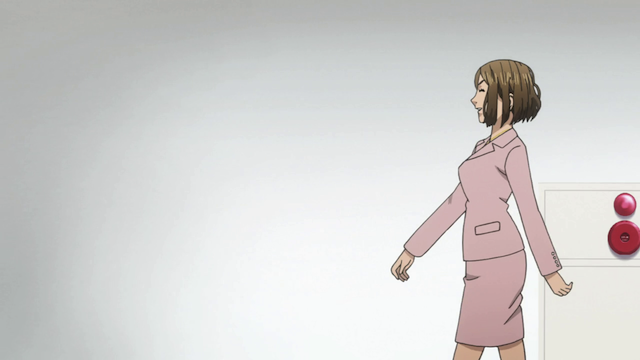 Mutta can’t turn down a free trip to NASA, so he ends up on a plane at the end of the episode. I kind of feel sorry for Mutta. He may be able to make it as an astronaut, but living up to his brother’s expectations of him will be tough. 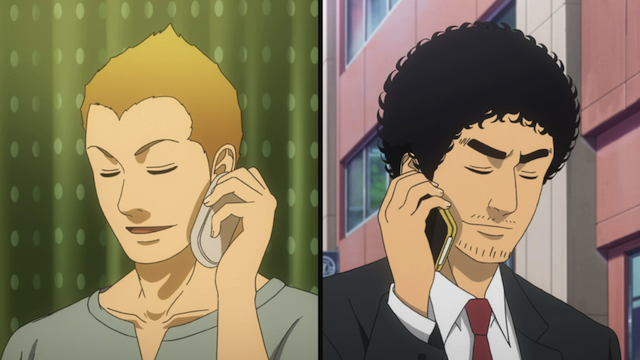 Nevertheless Mutta is lucky to have people like Hibito and Kenji looking out for him. Serika Itou is thinking about food again. 😀 I didn’t really mean it as a slight. I like food too, and I have no particular excuse!